Money20/20 - YeePay Co., Ltd.
YeePay is an initiator and leader in China’s vertical payment. The company was established in 2003 and now owns 30 branch offices, serving millions of merchants. With its focus on vertical sectors, it delivers one-stop solutions to payment and value-added marketing in the fields such as cross-border business, air&travel, retail, consumer finance, internet finance, education, telecommunications and insurance. 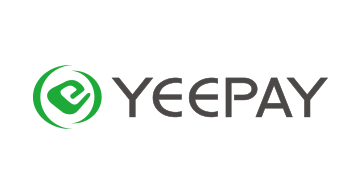 As the leading supplier of cross-border payment solutions, YeePay is not only one of the first companies receiving cross-border payment license but also completed the first cross-border remittance in China. Driven by customer demands, YeePay has achieved exceptional performances since its commencement of business. By improving payment technology and focusing on vertical customized solutions, it has enjoyed distinctive advantages in the licensed cross-border fields, such as import & export e-commerce, tourism, and overseas education.